The absurdly popular Xbox One early access game ARK Survival Evolved is supposed to be getting more than a hundred extra servers, according to a press release today. They’re not live yet, as the game’s several hundred servers remain stuffed. The promise of added support should give people a slightly better chance to get into the multiplayer version of the game, which has been a hit on Xbox One since its launch. As the above shots indicate, the game’s servers structure is being updated to v730.1, which is the first overall update for the game on Xbox One. 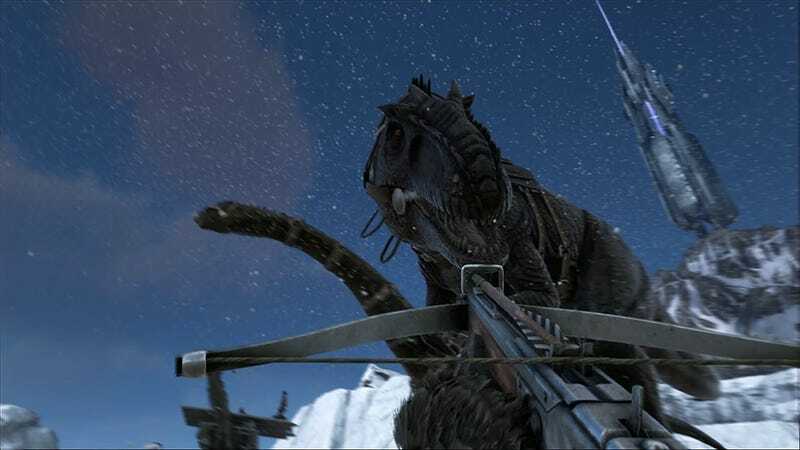 That update is set to bring the console version of ARK up to the PC game’s v231.9. The PC game was just updated to v232, which includes dung beetles and other fun stuff. If you can’t get into the game’s servers, you can play the game solo and start collecting berries and building thatched foundations en route to someday being a dino-taming hero. You can also host or join player-hosted servers. We’ve reached out to ARK’s PR folks to find out when the additional servers go live. The game is expected to come out for PS4 as well later this year.